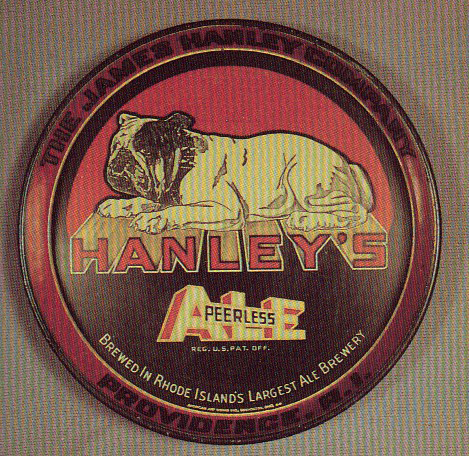 Serving Tray for Peerless Ale from The James Hanley Company out of Providence, Rhode Island. Text along the bottom states “Brewed In Rhode Island’s Largest Ale Brewery. The Center shows a large dog that sits upon the company’s name.